In last 5 matches with the results, Rajasthan Royals have won 3 matches and Royals Challengers Bangalore won only 2 matches. Last time they met was in IPL 2018, in which both matches was won by Rajasthan Royals. 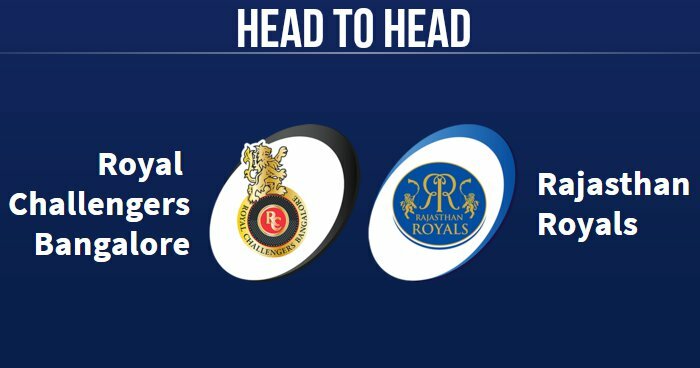 Royal Challengers Bangalore and Rajasthan Royals will play their next match against each other in IPL 2019 on 2 April 2019 at Sawai Mansingh Stadium, Jaipur.